The scope of the authors’ inter-disciplinary engagement – ‘biblical studies, theology, organisational theory, leadership studies, and other key social sciences’ - is an example of genuine genius; their observations thoughtfully nuanced; their reflections insightful and practical. I am hugely thankful to them for this gift to the church. Others will write overview book reviews. At the risk of implying a limited usefulness, the best I can do is offer a personal interaction. For an appreciation of the case Alan and Tim set out for their thesis you’ll have to read the book for yourself. I recommend you do anyway. For example, my own APEST (apostle, prophet, evangelist, shepherd, teacher) profile indicates that my primary motivation is as a prophet, with apostle as a strongly developed secondary; teacher also being well developed; with shepherd and evangelist being significantly lesser motivations and strengths (as such, I am a frustration to the institutional church, which struggles to see beyond the pastoral role for the spiritual health of the existing body and the evangelist role as the primary means of numerical growth). Moreover, Alan and Tim suggest that our primary motivation is expressed through our secondary motivation (which may vary from season to season, context to context). In Alan’s case, his call to be an apostle is expressed through his gifting and call to serve as a teacher, through his writing and speaking. In my case, it would suggest that my call to be a prophet is expressed through my secondary call to be an apostle, which would certainly fit with the journey God has taken me on, including my alignment within an apostolic movement (The Order of Mission; 3dm; and wider relational networks). Alan and Tim present a case for ‘dispersed intelligence’ in the body of Christ, whereby apostles, prophets, evangelists, shepherds and teachers are by design attuned to different things that the church must be aware of and hold in creative tension (just as eyes, ears, noses, taste-buds, and nerve-endings in our skin alert us to different kinds of information we must take into account). Moreover, they offer real wisdom in how each one relates to the others. As generative callings, apostle and prophet are particularly designed to work together. Apostolic intelligence acts as custodian of the ‘DNA’ of the body, as the church goes out; while prophetic intelligence acts as guardian of covenant faithfulness, ensuring we go deep as well as out. As a prophet, that is one significantly concerned with calling the church forward – energising - or back – criticizing - to covenant faithfulness, I find their careful mapping of prophetic ministry, including the potential pitfalls to be aware of, extremely helpful. 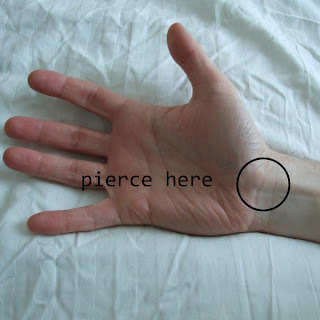 Their primary concern, however, is apostolic calling; and as a prophet whose prophetic ministry would indeed appear to be expressed through an apostolic calling – something I had not fully appreciated – I have found their work here too extremely helpful. They offer a differentiation of emphasis (not exclusive) between Pauline apostles, called to cross-cultural extension of the church (one of the reasons I had not fully considered the apostolic element of my own calling, as I am not primarily called to pioneer in this sense) and Petrine apostles, called to renewal within the already-existing church. They further nuance our appreciation of the apostolic by differentiating (again, not as exclusive categories) between apostles-as-explorers and apostles-as-catalysts (my limitations as a catalyst being another reason I had not fully considered the apostolic element of my own calling), presenting four broad fields of apostolic ministry anywhere on which we might locate the current or long-term emphasis of the work of any given apostle. By observation, they suggest Pauline explorers, or pioneers; Pauline catalysts, or networkers; Petrine explorers, or miners; and Petrine catalysts, or mobilisers. With this as a lens, I can locate myself, certainly at this given point, most fully as a Petrine explorer – and Alan and Tim’s observations would confirm that someone whose APEST profile is PATSE, and whose Myers-Briggs personality-type is INFP, is well shaped to be a Petrine explorer – that is, the particular form of apostolic ministry through which my prophetic calling is expressed is not primarily cross-cultural pioneering or networking, or direct mobilising, but is concerned with the renewal of the existing church through unearthing both those concealed things that are holding the church back from being all that God intends us to be, and those buried resources that Jesus has given us to that end. While we must attend to the general things – the call to all of us to be and to make disciples, growing together in the character and competence of Christ – we must also attend to the specific things, our particular and unique role within the body. From a personal perspective I am finding The Permanent Revolution to be the most helpful book I have read, in regard to the latter. Reflecting on their insight into my experience has given me a greater level of understanding of who I am called to be and what I am called to do (insight that the institutional church I serve, and which seeks to shape me, is simply not equipped to help me discern). But, sharing their understanding of the importance of this endeavour, I believe The Permanent Revolution is also one of the most significant contributions I have read to the general things we must attend to – offering a paradigm to imagine (so much more is covered, but I have not attempted a comprehensive review), and a vocabulary with which to discuss, what the church is called to be and to do. Again, I am indebted to them; and again, I recommend their book to anyone concerned with the missional sent-ness of the church. My mum, Rose Dowsett. A church historian and one of the most respected missiologists in the world; a true pioneer in the field of missiology, and a women recognised by evangelical men who, as a tribe, do not have a great track-record for recognising women...A trail-blazer, at great personal cost. Not only did she give birth to me; she also passed on the missiological genes of her DNA. My passions, while unique to me and distinct from hers, come to me from and through her. Thank you, mum. My wife, Joanna Dowsett. A true noble woman, and unsung heroine. A pioneer, but a rare breed – a pioneer pastor, one who makes the frontier home, in the face of adversity. Again, at great personal cost. Without her, I am nothing. Thank you. And countless other women. Thank you. Imagine that you are climbing in a mountain range. You climb a mountain, and its peak is as far as you can go, unless you then journey down away from the peak in order to head towards another. Imagine that you have oversight of a particular community – a local church or school, for example. It has a pre-existing culture, which determines what is or is not possible. Say, for example, that the culture is one where every contribution is welcome, whether it is very good or not. This can be a positive decision, one that helps people to discover and develop their gifts. But say that there isn’t a culture of investment, of development, but simply a culture of settling for poor quality, driven by a lack of resources. And so you set about changing the culture, to one that demonstrates that it values people and wants to invest in them. You make a few quick-win changes, things that have a big impact without great expense: replacing instant coffee with filter coffee; replacing tired signage with fresh display boards; spending time listening to people, and explaining the values you hope to introduce over and over until others start taking them up as their own. So far, so good...But any culture reinforces itself, to the point that it dominates other cultures and rules out other possibilities. In the above scenario, real gains in professionalism will result in better-equipped and trained people; but at the cost of a ‘family feel’ and with the loss of the ability to be spontaneous and eventually generous. That is, you eventually reach the local maximum – as far as you can go in this particular direction – and then you face a choice: settle here, and eventually decline; or choose to set of in a new direction. This new direction will involve leaving behind the comfort zone of experience (walking down the mountain on the other side from which you climbed up it) and then the hard work of establishing a new culture (climbing the next mountain) before you reach the next local maximum – and are faced with the same decision all over again. Any culture change goes through these stages: setting out into the unknown, leaving behind what is familiar but has become restricting; figuring out how to express a new culture; and establishing that culture in its fullest expression – until it in itself becomes restricting. No-one sets out to found a culture that is intrinsically worse than the one they know; but anyone with wisdom will recognise that every culture eventually becomes in need of renewal, of reinvention, or face extinction. And that the initial stages of that renewal will be ‘backward steps,’ not as good as what we currently know. This post is concerned with the particular challenges of missional living as families. In my own case, family is primarily myself, my wife, and our three children; but I think the principles apply for any family construct, including circles of close friends who are single as well as married and/or childless as well as parents. In our opinion, FAMILY OR MISSION is a false choice, and one with potentially disastrous consequences. Just the other day, an older woman was telling me of how her father’s ‘wonderful ministry’ caused her deep hurts, through much of her life, as he placed mission over family. On the other side of the equation, we’ve known many people who have said, ‘If we didn’t have children, we’d go there/do that, but we can’t do that to them...’ If God has a mission in the world to which he calls us to join-in, opting-out is not an option. If God has given us a family – whatever that looks like – opting-out is not an option. So then there is the FAMILY AND MISSION approach. And to be honest, that feels like trying to pour two pints into a pint bottle: much spills out and is lost, wasted. This way leads to burning out, and very often results in retreating into family, or mission, at the expense of the other. The way that makes most sense to us, and to many of our friends, is FAMILY ON MISSION. That is, mission is something we engage in together, albeit contributing in different ways. As we moved to a deprived neighbourhood in Liverpool, the local primary school was put into Special Measures: that is, following government inspection it was given notice to improve, or (ultimately) be closed. It was very clear that our mission as a family was to support the school on this journey. I offered to join the Board of Governors, eventually becoming Vice-Chair. Jo joined the Parents’ Forum, a means of two-way communication between the school and the parents. Our older two children modelled an engagement with learning and with teachers (You Can’t Be What You Can’t See) and our youngest child, in nursery and then reception, modelled an engagement with the wider environment that many of his peers lacked. We got stuck in, prayed, served, stood in solidarity with the head-teacher and her staff, cried with them in the hardest moments, celebrated the milestones and the eventual coming out of Special Measures and being in a good position to continue from strength to strength. And then we moved on, leaving behind friends who we miss and who we know miss us. To be honest, we have not yet been able to identify what being family on mission looks like where we are now, in a very different setting. Of course, it will not always be so clear; and it will not only be dependent on the context. We have a core calling to grow into, which will stay the same from context to context, even though it will be expressed differently from context to context and in the changing seasons of our family life. Being family on mission is not a way of life we can say we are experts in. We are not perfect examples. But we want to be living examples. And in this, we are glad for the many other imperfect living examples, the families on mission we get to call our friends. 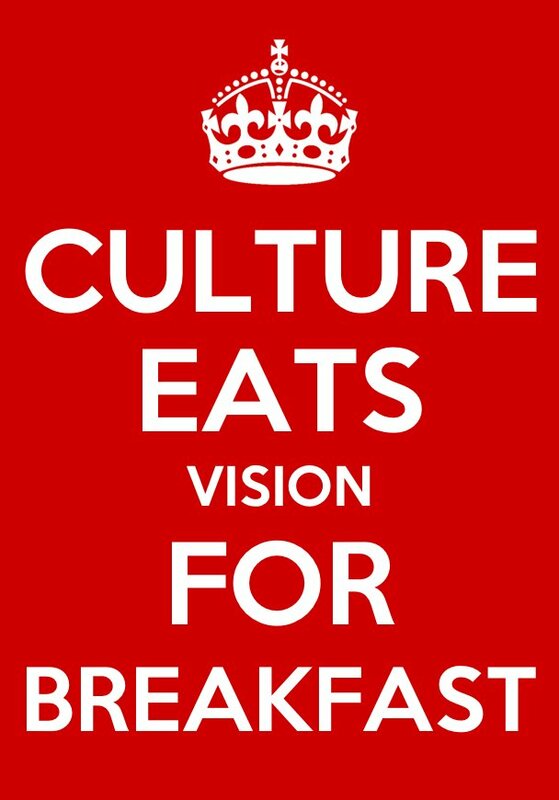 Here is another maxim I have come across recently: culture eats vision for breakfast. Here is an example. An aging local church congregation might agree that they need to be more welcoming and inclusive of families and children. They might recognise that their future as a community depends on it. They might even decide to appoint a family and children’s worker. They have a general vision, and that worker might observe and reflect and discuss and present creative ways forward, giving shape and definition to that vision. But if the underlying culture is one that values order and reverence, a liturgy that is light on participation, old hymns accompanied by an organ...that culture will consume any vision for change. Very often, as church leaders, we seek to hold out fresh vision. Increasingly I am coming to the realisation that this is misdirected effort, likely to frustrate both leaders and those we have oversight of. Rather than set vision, the primary focus of the leader’s attention must be to model and promote the kind of underlying culture-change that is needed if fresh vision is to be released from within the body, the community itself. In Sheffield, this came to be known as ‘high accountability, low control’: that is, senior leaders nurtured a culture of discipleship which released people into mission, and held them accountable to being true to the cultural values while giving them significant freedom – and, as far as possible, appropriate resources – to pursue the vision God had sown in their own lives. Changing the culture of any given community takes a long time. Holding out vision is far easier, can take place very quickly – especially in a church that is aware that it lacks vision. But it is a shortcut that ultimately turns back on itself, leading to greater entrenchment of the very culture that you might hope to change. 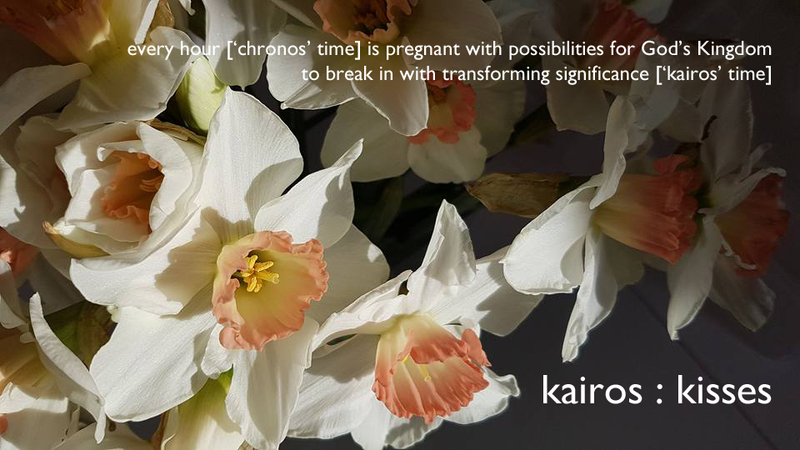 Culture-shifting takes longer: but once the hard work has been done, vision is released and nurtured. To return to the example above, if a culture of valuing children, of discovering more about the world through play and questioning, trial and error, imperfection and wonder, can be nurtured, space can be created for the young-at-heart of every age to share. As a phrase, it perfectly encapsulates discipleship: both the need for, and the process of, discipleship. Take, for example, being a parent. Being a parent, or at least making a good job of being a parent, is tough. Nothing really prepares you for it. Sure, there are shelf-loads of books on parenting out there, but really the only way to learn how to be a good parent is to have in your life other people who are trying to be good parents, who are perhaps a little further down the road from where you are right now, who you can look to and say, they seem to be doing something right. Not perfect examples – they don’t exist, and unless I mistakenly believe I can become one, they wouldn’t be much help to me if they did. But living examples, accessible examples, who are willing to share with me their successes and failures, their highs and lows, what they found hard and what helped and what enabled them to keep going when things were hard. What they discovered about God and themselves and their children along the way. It might help a little if we ourselves experienced good parenting as a child; but to be honest, as a child you don’t watch your parents to learn how to be a parent; hopefully, you are – quite rightly – free to learn how to be a child. Really it is when you become a parent that you need role-models, or disciplers – and not least because with God explanation generally follows experience, rather than being front-loaded and abstract. Or take, for example, any calling to serve others, whether we felt that we chose it (of course, the truth is never so simplistic) or whether we felt that it was thrust upon us (of course, the truth is never so simplistic). Which is why discipleship can never simply be about my receiving from others (and far less about my taking abstract theological information from anonymous others). To what has God called you? And who do you have in your life to whom you can look, to learn how to be the person God has called you to be? What examples can you look to, in Scripture, in church history, in your local community of faith? Who around you has a similar calling? How might you make your life available, as a living example, enabling them to learn how to be the person God has called them to be? Jesus puts it this way: that thing that has been given to you, that thing you have received from someone else, pass on to others. It has been a while since I posted a photograph, so I thought I would make amends with this one I took looking across Ullswater, towards the end of the seven-mile trail from Howtown to Glenridding I walked with a friend on Thursday this week.